Preco Corporation is today valued by brands worldwide as a strategic partner from the decorating industry, producing eye-catching foils that ensure a client’s product stands apart from those manufactured by market competitors. Here, Preco offers an introduction to business life behind the scenes, explaining how it satisfies its clients with customisation options, and providing a glimpse into the 'green' ethos which characterises the production team so strongly. Could you outline Preco's company focus? Since Preco Corporation started exporting heat transfer film overseas from Osaka, Japan, nearly thirty years ago, the company has made its mark in the decoration industry, developing advanced technology in order to achieve breath-taking results. Aestheticism is Preco's major strength, as the company has become a specialist in Roto-Gravure printed heat transfer film, joining the Japanese trend of creating state-of-the-art products that are appealing to the eye. Carefully blending inks, accumulating chemical knowledge through research, and experimenting with special effects, Preco guarantees customers who choose its foils a unique and stunning solution. How does Preco gear itself towards its customers? Preco Corporation's target audience lies within the personal care, cosmetic, electric home appliance, and writing instrument markets. The company has built its reputation as a go-to printing service, winning the attention of market-dominating brands, through its supportive approach to business and skill in client consultancy. Decoration offerings are endless, but Preco transcends all expectations and proceeds even further, presenting the opportunity for clients to customise the decoration of their product to their individual needs exactly, working together with them to overcome any challenging tasks. Budget pressure is taken into account as Preco proposes suitable solutions for each customer depending upon their requirements. Packaging manufacturers work hand in hand with Preco’s team, and, upon the receipt of a customer’s artwork, the image is converted into blueprint data, ensuring an utterly satisfying and flawless result. Preco also works very closely with customers to determine the most suitable glue formulation for their substrate and production conditions, with the help of its in-house chemists who are experts in the field. What is the secret to Preco's success? Preco's emphasis on quality control is undoubtedly the company's distinguishing factor, and employees at the factory pride themselves on the consistent level of excellence maintained. The company rises up to any technical challenge and supports customers throughout the duration of the foil development process, utilising its own print die making facility and in-house lab to guarantee the best results. The expertise of the factory employees cannot be disputed, but the company does not solely rely upon the human eye, instead investing in an automatic detection system to flag any printing deviations before films are shipped for sale. Preco's colour printing is characterised by stability, yet the company does not only achieve perfection in aesthetics. Rather, financing is injected into physical tests, evaluating scratch and chemical resistance, and securing ultimate customer satisfaction. How would you describe Preco's company ethos? As a nation, Japan holds nature and the surrounding environment close to its heart, and Preco Corporation proves no exception to this rule, adopting an environmentally-focused company ethos. Preco has acknowledged its responsibility to employ more environmentally-friendly decoration techniques. The company strives to ensure that each and every process performed is 'dry' rather than 'wet' on the customer's production line, and thus does not involve the handling of chemicals and solvents, fumes and hazardous waste disposals, which pose an ever-increasing threat to the environment. 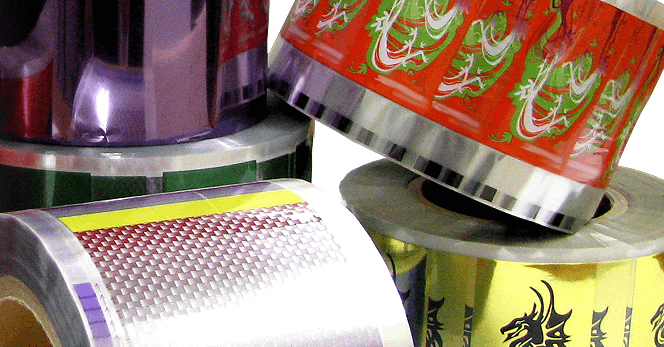 Heat Transfer Film is just one example of Preco's efforts to provide 'green' decoration processes, as the printing method is toxic agent-free, whilst In-Mold Foil decoration is similarly a step in Preco's green pursuit, helping customers to reduce the use of lacquers and sprays which are injurious to the environment. What kind of decoration trends does Preco expect to see? As more designers are looking for appearances that are inspired by natural materials, Preco expects to see an increase in demand for high resolution replications of natural material such as stone, wood grain, marble, metal looks etc. as a substitute to the actual materials, and we can help them to realize such images utilizing our state-of-the-art die engraving technologies. We also expect to see more demand for eye-catching artwork and effects as the influence of social media in marketing increases. To make packaging more striking and photogenic to social media users, application of stunning artwork or finishes to the packaging are inevitable. It can also give an entirely different impression even when using the same shaped packaging. Precos believes that heat transfer foil is the perfect solution in order to achieve that and can help customers enhance their packaging to appeal to such users to increase the opportunity to feature across social media.